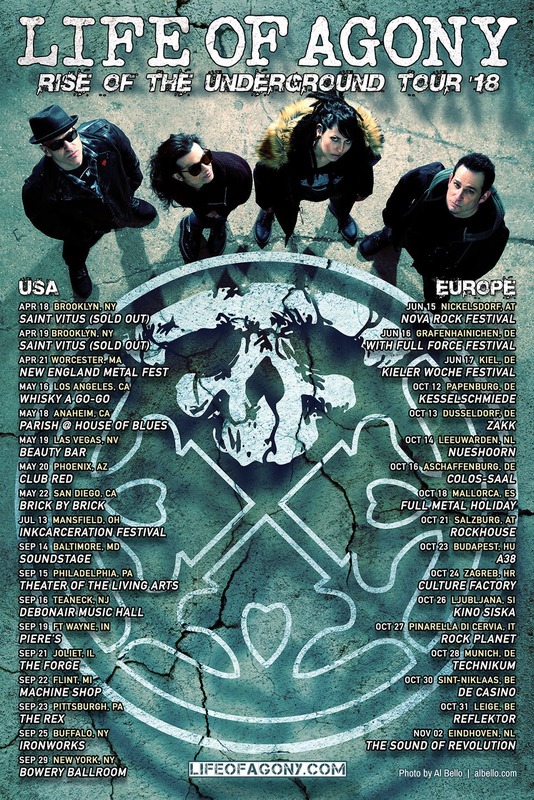 New York's LIFE OF AGONY has announced dates for a headlining trek called "Rise of the Underground Tour 2018" spanning the USA and Europe. 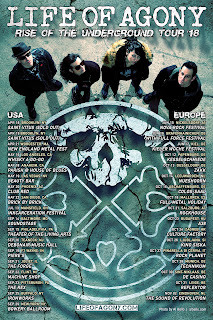 The shows will begin with two sold-out, hometown warm-up gigs April 18th & 19th at Saint Vitus in Brooklyn, and conclude November 2nd as headliners of The Sound of Revolution Festival in Eindhoven, Netherlands. Joining Rise of the Underground Tour 2018 as main support during the September U.S. dates will be Silvertomb, the new band featuring Johnny Kelly and Kenny Hickey from Type O Negative. More support acts to be announced soon. Check out all of the dates below!